This article will explain how to associate multiple media files such as images to items listed in an Excel data feed. Each item could have a different number of images. 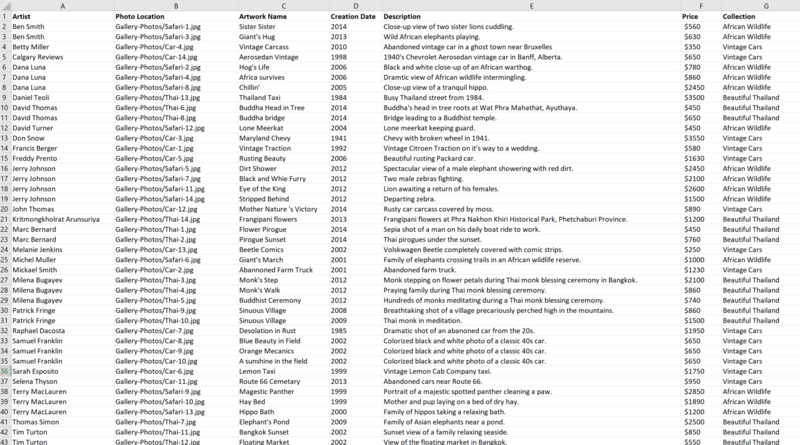 For example: a list of products where each product has a variable number of associated media files used to represent that product in a data sheet or gallery. This article will refer to "images" but the mechanism described below can be replicated for videos and documents as well. For our example we will reuse the Excel file used in this webinar and adapt it to present a list of artists, each artist having one or more pictures associated with him / her. Note how we are using the "Artist" name as the primary key, a database term meaning the "Artist" value will act as a link between the two sheets in our Excel workbook as we apply filters. 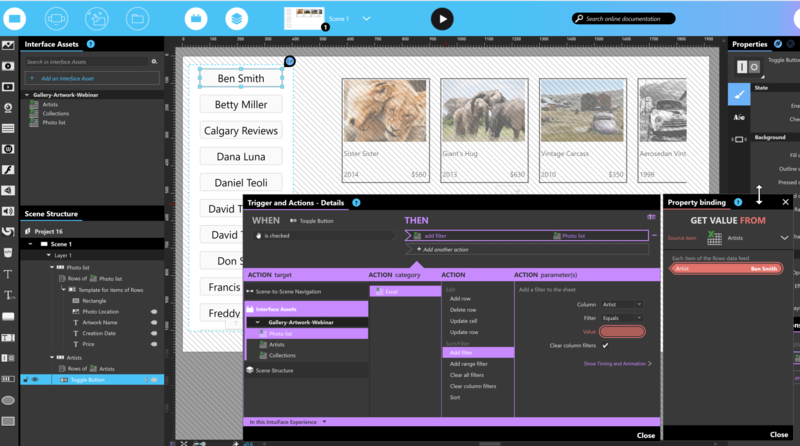 The first contains the Artist data feed and will let the user select an artist. We are using a vertical Asset Grid here with Toggle buttons. The toggle button belongs to a toggle button set which will limit selection to a single artist. The second contains pictures associated with the selected artist. In the beginning, it contains all pictures for all artists since no filter is applied yet. You can hide this collection and show it when an artist button is selected. And voilà! Only those images associated with the selected artist are displayed in the picture gallery. You can download the sample described above by clicking this link.